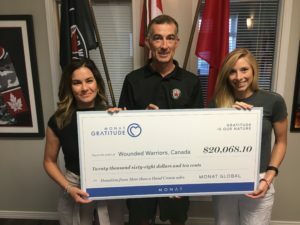 MONAT Gratitude Initiative, the philanthropic movement behind MONAT Global, donated $107,000 to four nonprofits that help veterans. 100% of the gross profits made from their limited edition product, More Than a Hand Cream, went to these organizations benefitting veterans in need in the United States, Canada, and United Kingdom. Originally slated to be available for sale from Memorial Day (May 28th) through July 4th, the product was sold out by June 20th. Recipients include The Wounded Warrior Project, Running 4 Vets and The 22 Project in the United States, Help for Heroes in the UK and Wounded Warriors Canada. 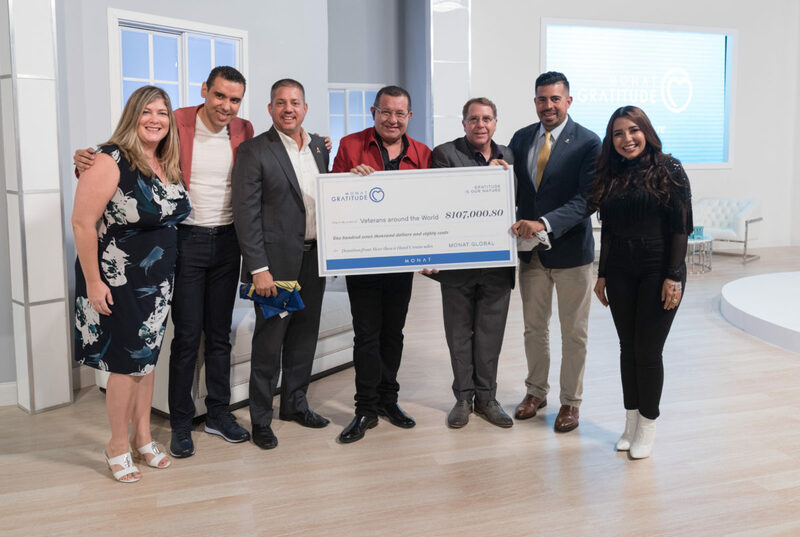 Representatives from two of the nonprofits, The Wounded Warrior Project and The 22 Project, were in attendance at MONAT’s Palooza 2018 to receive the donation. “MONAT believes strongly in giving back, and this has been our biggest initiative to date. Through this limited-edition Gratitude product, we are honoring those who have given the most by sacificing their lives and celebrating those that are still with us today.” -Stuart MacMillan, President of MONAT Global. 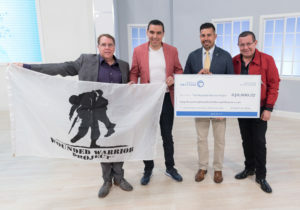 The Wounded Warrior Project was founded in 2003 by a group of veterans and friends who took action to help the injured service men and women of this generation. Wounded Warriors Canada’s mission is to honor and support Canada’s ill and injured Canadian Armed Forces members, veterans, first responders and their families. The 22 Project supports underserved war veterans who have traumatic brain injuries and are at risk for depression and/or suicide. Help for Heroes supports those with injuries and illnesses attributable to their service in the British Armed Forces. Running 4 Vets is a new organization that was founded by veteran Trista Boyenga with the goal of bringing veterans’ organizations together to better serve and facilitate comprehensive needs of veterans. “We are so humbled and thankful for the support from our Market Partners and everyone who purchased our limited-edition More Than a Hand Cream. We’re grateful that we have the opportunity to give back to men and women who have sacrificed so much for our freedoms.” -Lu Urdaneta, Director, Global Recognition and Gratitude. To learn more, please read the official release here.